Few decorating decisions are as deeply personal as art; the perfect artwork should stir emotion and infuse a room with a hint of your character. So when Uprise Art founder Tze Chun was tasked with curating artworks for a furnished luxury apartment in Manhattan with no owner and no budget limit, she was able to let her creativity flow. Located moments away from Central Park, the luxurious three-bedroom apartment is in One57, a towering skyscraper on so-called "Billionaires' Row." "This home is unlike anything I’ve ever seen, with 360-degree views of New York City, including a stunning view of Central Park from the Grand Living Room," says Chun, who started the online gallery to connect the next generation of collectors with emerging artists. The brief was challenging but also liberating: The apartment was designed by Jeffrey Beers International and furnished to sell. Without an owner in the picture, Chun was able to source artworks that paired seamlessly with the décor and spoke to the luxury home's stellar surrounds. "With so much going on visually—basically all of Manhattan is visible through the windows—we focused on graphic pieces and neutral works that create a dialogue with both the view outside and the interior design inside," she tells MyDomaine. Take a tour of the breathtaking apartment below, where striking modern art takes center stage. True to its name, the Grand Living Room is bold and regal, with upholstered ivory furniture and brushed brass details. Perhaps the grandest aspect of the room is the television though, which is concealed. "Jeffrey Beers designed a custom millwork panel that slides to reveal a large flat screen television," Chun explains. "We immediately saw it as an opportunity to create a special statement piece of artwork. The site-specific installation was created by Uprise Art artist Christina Watka and is made of hundreds of pieces of hand-shaped porcelain, glazed with 22k gold." Chun worked with the artist to select a deep navy shade as the background color to work in tandem with the color palette of the room. Choosing the right colors was key for this project to ensure the artwork complemented the breathtaking skyline without competing. "The Grand Living Room is a perfect balance of giving visual space to the city views (the apartment is on the floor 61) as well as grounding the experience in the rich colors and textures of the furnishings Jeffrey Beers International selected," she says. Given the size of the space, Chun was conscious of choosing artworks that would guide the eye. "We curated two custom pieces: the porcelain installation that covers the TV and a large gilded mirror. 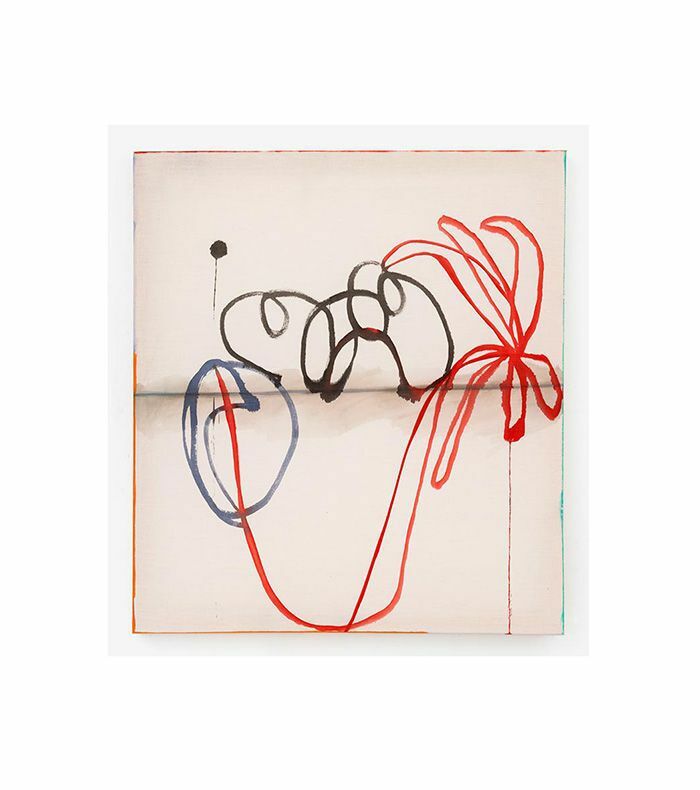 The two pieces draw you back and forth visually across the large expansive room." It was important to consider the layout and flow of the apartment when selecting the artworks, says Chun. "The Grand Living Room and the Grand Dining Room are in the same space, just separated by the fireplace shelving unit. So we had to be strategic about placing large works in each since they would be visible from one space to the other," she explains. She was also careful to balance warm and cool tones when sourcing artworks. Two large paintings by artist Vicki Sher were perfect. "The raw muslin fabric complements the warmer tones in the space, whereas a bright true white canvas or a work on white paper would have been too harsh." While the artworks and décor in the living room are bold and energetic, the bedroom is a serene escape. Custom navy paneling behind the bed anchors the room and balances the floor-to-ceiling windows. Crisp white linens and blush pink and blue throw pillows add a hint of playfulness. In the second bedroom, Chun chose two artworks to work in tandem with the desk. In addition to adding color and intricate detail to the room, they also hold meaning. 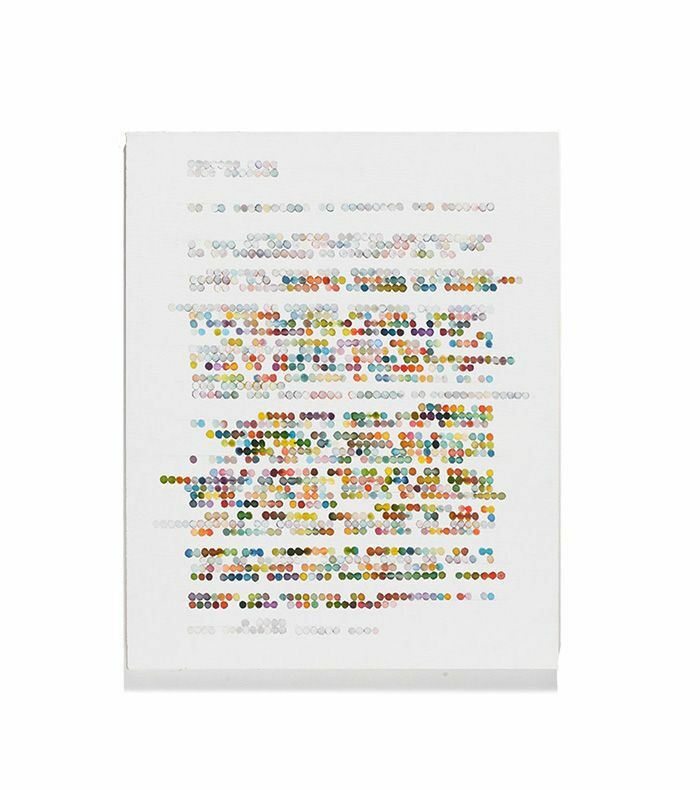 "Gail Tarantino’s paintings reference letter-writing, Braille and communication," she explains. "We loved having the pair of paintings hover above the desk and books for this reason." 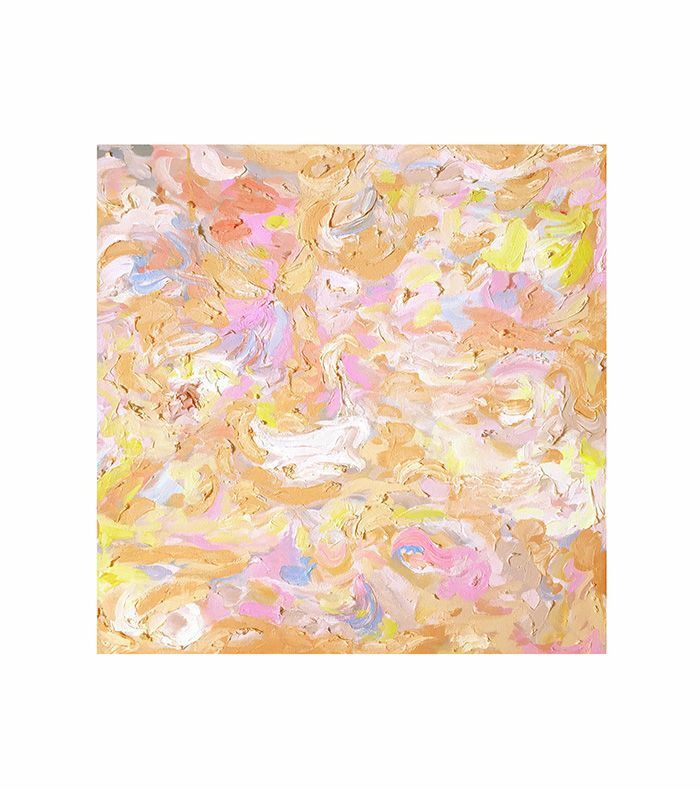 When asked what her favorite standout piece is in the home, Chun points to an abstract painting in warm peach and tangerine tones. "The combination of the rich thick paint, sleek metallic frame, and balance of warm and cool tones really changes the way the bedroom feels," she says. "The painting is an abstract landscape based on Joshua Tree, so it serves as a window of sorts, offering an alternate view than the one outside." To ensure each bedroom had a clearly defined personality, the design team choose a different color palette. Bedroom number three boasts rich jewel tones of emerald, which punctuates the neutral room via throw pillows and tropical plants. The artwork's meaning was at the core of Chun's choice for this room. 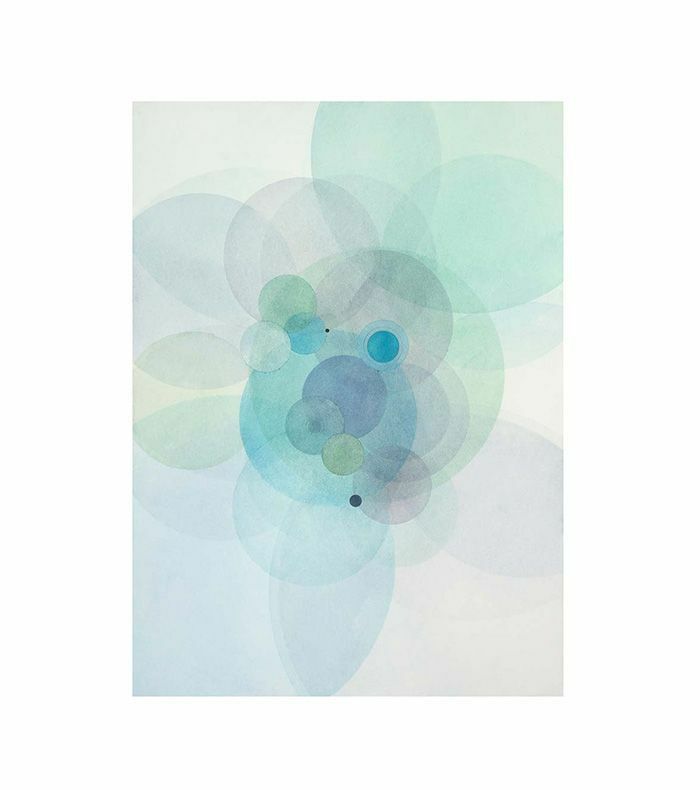 "Evan Venegas' watercolor paintings are inspired by the idea of organizing your life and 'emotional data' into overlapping circles," she says. "In the bedroom, these works are the first thing you see when you wake up, and the last thing you see when you go to bed, so the concept of helping set priorities and make sense of the world was a particularly powerful one in this setting." With such thoughtful, considered decor and artworks, we can't think of a better place to wake up. Next up: Step inside Nina Dobrev's bright California bungalow.